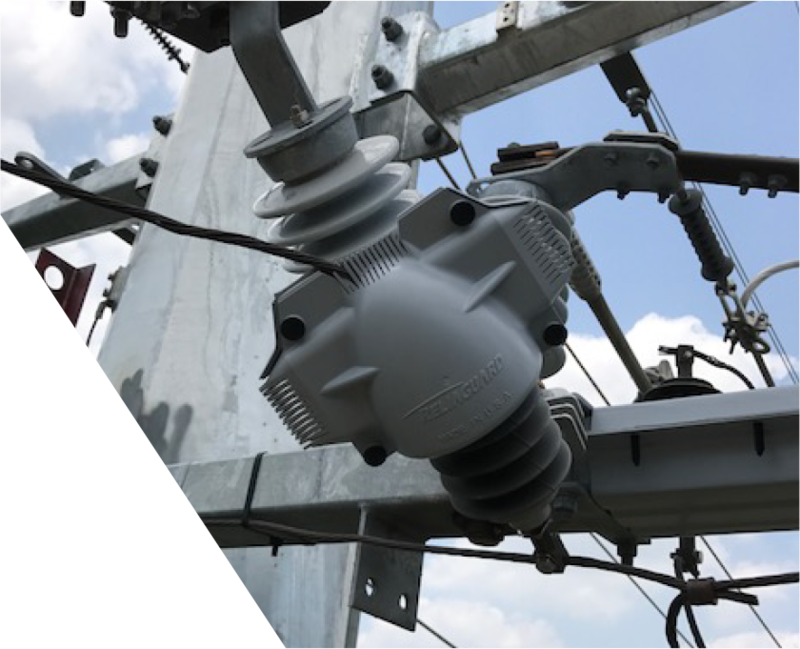 The guard that is typically included with new arresters often doesn’t provide enough coverage to fully protect the wire connections or properly overlap the stripped section of a poly-covered conductor at the connection point. Lightning arrester protection should consider the higher the voltage the further the coverage needs to extend – Reliaguard Multiport Lightning Arrester Guards meet this requirement. Reliaguard Pipe Bus Guards protect endangered species, birds, squirrels, raccoons, snakes, feral cats and other wildlife from contact with energized risk points. Based on the 100 years of collective knowledge from the Reliaguard linemen who specialize in wildlife mitigation, designs consider all risk points. A team of CAD designers support our linemen to incorporate features unique to only Reliaguard Bushing Guards. 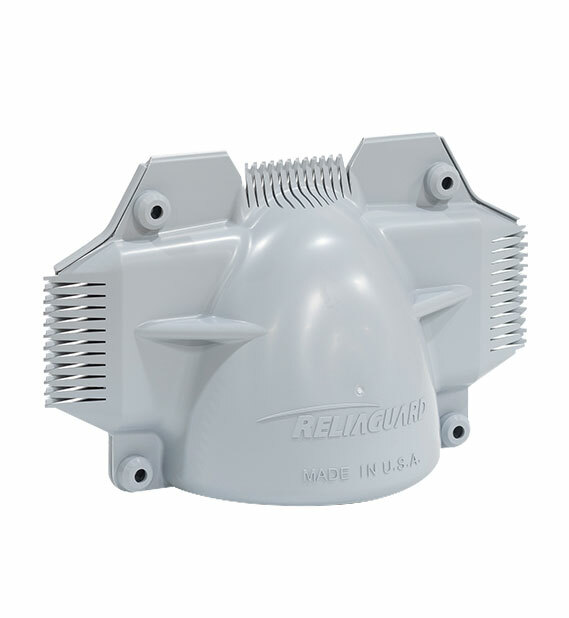 Reliaguard® Lightning Arrester Guards are designed to stay in place. Retention of the cover once applied is a critical design feature to be considered.